Well, it has been a very special time when I joined the band of Groenalund. I remember being deeply depressed after the „big company“ has forbidden me and It’s Princess Time being Anna for the rest of my life. It was a very sad time for me – I even felt no sense at all. I loved to be a super hero for children and it made me feel so happy seeing them happy and kind of „shiny“. Thanks to my family and beloved friends, I stood up again, being my own princess. 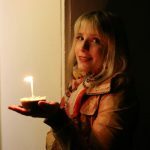 I designed my special dress, all accessoires, my own kind of true story and I had these melodies in my mind – but how could I even record an instrumental, if I can only sing and play some guitar chords? 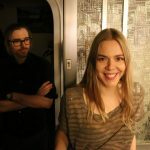 I remember Julia Koep told me asking Martin Gerke if he could imagine producing some songs with me. I’d rather thought: who would be so warm-hearted to do so? Working all night long to find special harmonies, to prepare the final lyrics and to record two songs for happy kids? It really was Martin and I felt like: WHAT the heaven is going on here? He is so well talented – you cannot imagine – he just listens to songs and work so deeply concentrated and more than perfect! If you work with him you get to know real music. I never experienced something like this before and one of my deepest dreams came true. Thank you Martin having such an open mind. Julia and me once recorded a Christmas Medley at his studio. This was the first day we met together as a kind of team. And last but not least I just asked Martin, if he could produce some princess songs with me for doing a honorary kids project with flower princesses and he said YES!! <3 In April 2018 we worked nearly two evenings a week together and it was so much fun to observe how the songs began to live. <3 Today, I feel very proud of this project and I feel so thankful to Julia, the team of It’s Princess Time, my family and friends, Martin and of course all of you around the world. 🙂 Princess Saleia was born. During our record days Martin often told me about his own band „Groenalund“. This project is his baby in which he spend all his free time. His aim is to reach a high-level sound of his favourite group but he did not want to do just a Cover Band – he wanted to do new special ABBA-like music. Martin just convinced me with his skills during our work and I felt so happy after he asked me being a new part of Groenalund music. 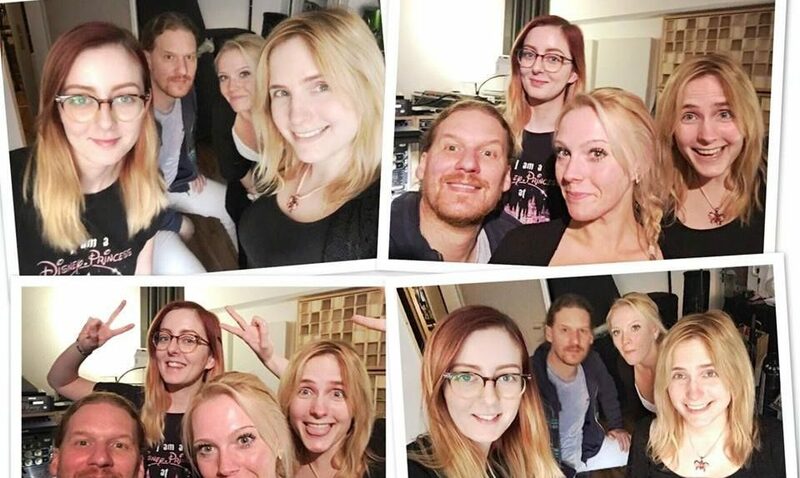 And here we are: Mabel, Julia, Martin and me recording some new songs every tuesday in the studio. Our first song „I Want You Back“ will be published soon in the media. I feel so excited. 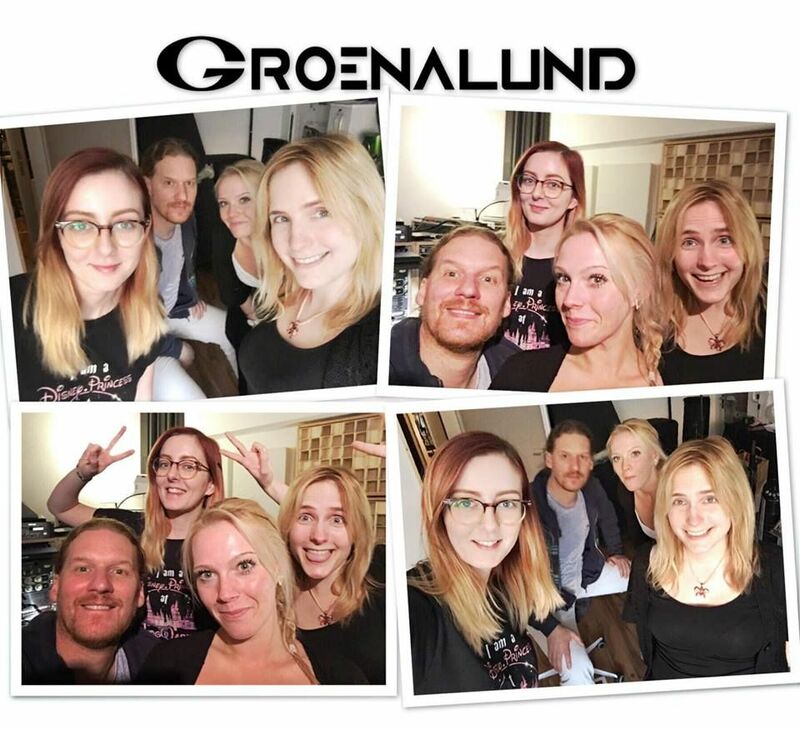 We are Groenalund, a new band from Germany. We want to make a difference in terms of quality of todays pop-music. We don’t stare at the charts, by using the computer like any average producer, by clicking through some standard-sounds and then singing heavily auto-tuned over it. That way of production does not fit to our sense of quality. It hurts our ears. We don’t want to hear that soulless music anymore. We started as big Abba-fans, but did not want to add an other cover-group, so we decided to take the longer path by writing new songs, with the sense of quality, melody and production value in mind, the four Swedes are famous for. With all respect we somehow want to continue in 2017, where Abba stopped in 1983 – in our own view, with our own words and melodies, reflecting our lives in 2017.